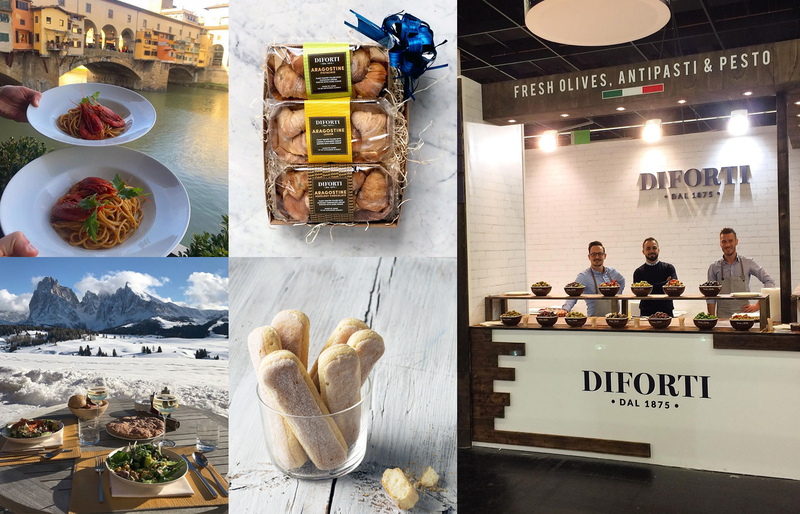 Diforti is an exclusive gourmet Italian & Mediterranean online food and wine store. P1C has been in charge of creating content for the brand and managing all their social channels and paid social campaigns, as well as their Google Shopping campaign. The aim of our relationship was to build brand awareness and increase engagement with potential customers on social, as well as to increase the sales on the website. In order to avoid making the profile too promotional, we decided not to post too many ‘hard sell’ posts (unless they are targeted ads). Instead, we explore the client’s country of origin and the rich culture and history of their products, sharing a general appreciation for Italian food and landscapes to appeal to Italian food lovers. Since the brand is new, there are not a lot of online mentions of their products to share. Thus, extending the profile to appeal to all Italian food lovers allows us to share content from others, even if it is not Diforti branded. It has been working very well so far in terms of increasing the following and engagement.